The Cowes Harbour Landmark Design Competition has now closed. Thank you to all participants. 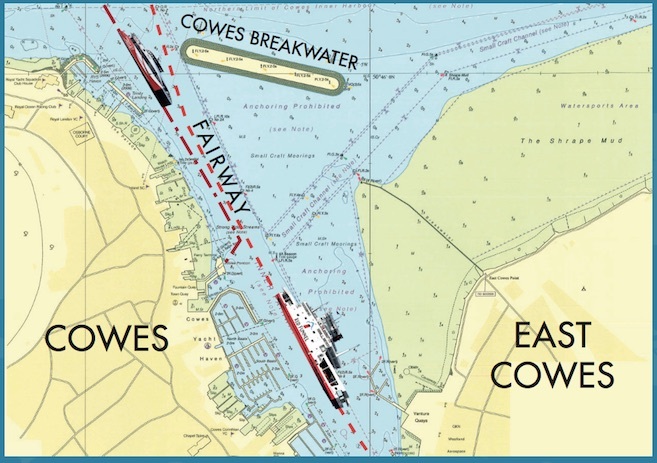 The Cowes Harbour Landmark Design Competition was created to find an inspirational design idea for an iconic ‘welcome’ landmark to be sited on the Cowes Breakwater at the mouth of Cowes Harbour. • Providing a local point of interest and landmark at the entrance to Cowes Harbour to welcome all seaborne visitors and vessels. The winning design or designs will be re-worked by an art, design and engineering team for a semi-permanent or permanent installation (finance dependent) on the Breakwater in the future. Figure 1: The usable area of the Breakwater (coloured yellow) measures 320 metres x 25 metres. The design will sit clear of the water during all but exceptional High Water spring tides. The idea for a breakwater to protect Cowes Harbour from northerly winds was first thought of in 1860 by Admiral de Horsey. 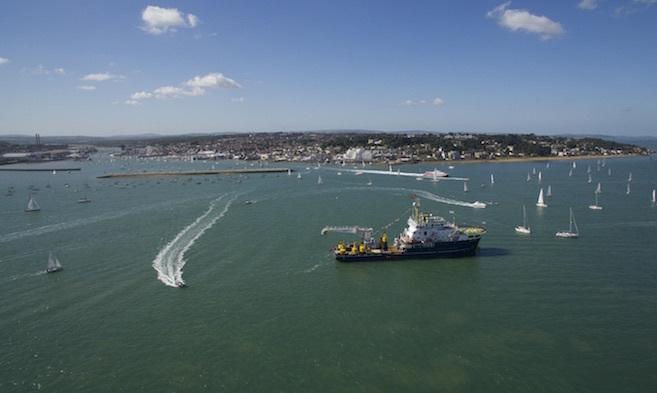 Exactly 155 years later, Admiral de Horsey’s vision of a breakwater to protect the harbour was realised by Cowes Harbour Commission with the construction of the detached Cowes Breakwater. 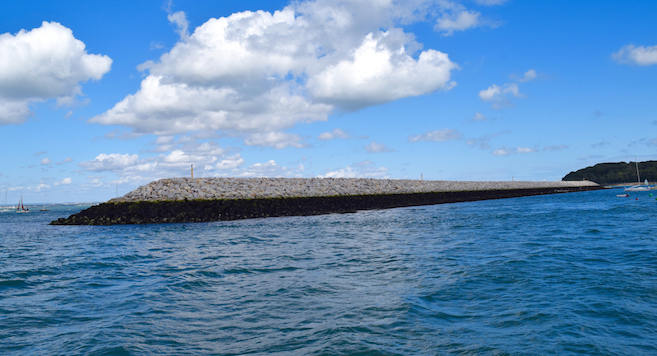 The Cowes Breakwater was completed in 2015 and has a gravel core with around 45,000 tones of rock armour to give a finished breakwater rising 2.5 metres above High Water. 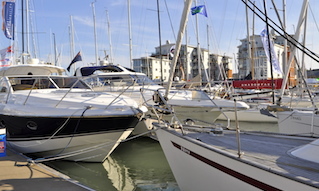 Cowes Harbour Commission (CHC) is the harbour authority for the port of Cowes on the Isle of Wight, headed up by Captain Stuart McIntosh, Cowes Harbour Master. 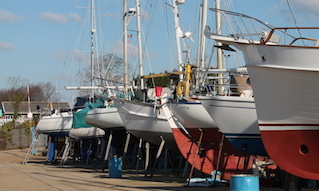 Cowes Harbour is the economic and maritime gateway to the Island. Ferries and commercial ships enter the harbour day and night, carrying around three million passengers a year, plus goods and coaches, and nearly all the bulk shipping import and export goods for the Island, including fuel. 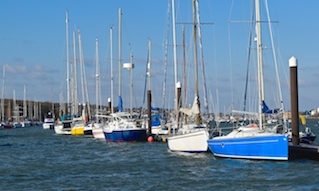 Cowes is also renowned as one of the world’s most famous sailing destinations. 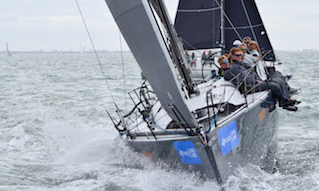 Cowes Week is the highlight of the British yacht racing calendar, and the Round the Island Race, which starts and finishes in Cowes, is one of the largest participatory events in the world.